Get expert college guidance for FREE. Say goodbye to college path stress! We take the guesswork out of the entire process from start to finish. Through our unique, one-on-one program, we help each student discern their career goals and build strategies for success. You want the very best for your teen, and so do we. Our team tackles roadblocks and advocates for you every step of the way. Our senior students received over $1 MILLION in scholarships last year. The majority earned 14-80 times their parents’ investment in our services. Getting into and succeeding at the right school is an essential part of achieving your life goals. We’ll set you up for success. Get into & succeed at the right college without going into debt. Buy one and get a FREE College App Boot Camp course! Lock in this year’s price for through the end of high school! Every so often we update our prices… we’re letting you in on the secret that we are due for another adjustment soon. Take advantage of our lower prices before they change! Why Junior & Senior year programs? If you start the college process in senior year, IT’S ALMOST TOO LATE. New seniors who walk into our office quickly learn that getting into a best-fit college without debt is a monumental task, let alone with the clock ticking their senior year. Work with us junior year or earlier and you will actually be able to enjoy your last year of high school with confidence. Purchase now, and you can breathe a sigh of relief knowing you’re on track. "Hands down the best money we have spent. Our son needed some help increasing his SAT scores and Rebecca’s program was a life saver. After a few months of working with her, he increased his score by 140 points! He is now on track for some full ride scholarships. Both Rebecca and Paul are remarkable. We are so very happy with your coaching and can’t wait to see what you will help with senior year." "With the clear, reassuring guidance of Ms. Carroll, I was able to successfully navigate a challenging four years of high school filled with sports, academics, standardized tests, leadership responsibilities, and lengthy college applications. In the end, I received multiple congressional nominations and my top choice, the United States Merchant Marine Academy, offered me an appointment to their institution. Ms. Carroll was able to effectively guide my efforts during those turbulent four years of high school to reach acceptance at USMMA. Through my time working with her, Ms. Carroll not only guided me on the complex application processes, but she also helped hone my academic skills and instructed me on professional etiquette in ways that I still use to this day. I am deeply grateful for all the encouragement and direction that Ms. Carroll gave me. If you are searching for honest, realistic advice and guidance in academic or professional advancement, I would highly recommend The Coaching Educator." "We recruited Rebecca to work with our daughter halfway through her junior year. Now Looking back I wish that we would have known about her services at the beginning of her freshman year. The guidance, knowledge, and insight Rebecca provided were invaluable. Rebecca assisted our daughter and family by managing the process of preparing for college from start to finish...Rebecca educated us on the TEACH Grant which will save our daughter $16,000. We could not be more pleased with our experience and would gladly recommend Rebecca and The Coaching Educator to parents of high school students that are planning to send their kids to college." I'm an international student, and working with Rebecca and Leigh was incredible. 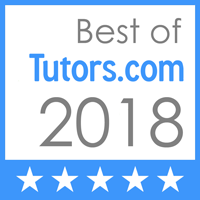 The College Educator team is such a valuable source that I cannot stress enough how helpful they were in helping me figure out what the next steps towards college should be, like getting higher scores on SAT and ACT, or even practicing daily for the TOEFL test (which later would make a great impact in getting scholarships). Rebecca Carroll is not only a great professional, but also a very protective person towards her clients, always seeking the best for them. Although I handled the language factor pretty well, there were other areas in my life that made me feel overwhelmed, but fortunately I had Rebecca to guide me through everything. Perhaps I was beyond lucky. She took me under her wing and guided me as if I were her child." "My experience working with Rebecca at The Coaching Educator has been overall career changing. She helped me find direction in my career choice and turned my dreams of going to college into a reality ...She genuinely cares about my success and that is hard to find. She helps with a variety of things and has made my application process less of a stress. I highly recommend her to coach students of any situation and age. Thank you Rebecca!" "Dear Rebecca and Leigh, I wanted to tell you how grateful I am for your support to Sasha and all your hard work with her applications and tests. You also shared with Sasha your confidence that she can do it which helped her a lot. Thank you so much for these tremendous results. I know that best way to say thank you is a reference. And I'll be happy to recommend you to my friends when they need it. Sincerely, Anna." or in combination with our high school programs. Interested in our ULTIMATE International Program? Please purchase an International Program Consultation so that we can evaluate you for our program. The Coaching Educator team provides educational outreach including high school success guidance, college success coaching, and employment coaching services. We collaborate with schools and colleges as well as community agencies to provide services that ensure college/career success. Our team of credentialed educators, coaches, and mediators provides effective support for transitioning students and adults along with their families, whether in the school or in the workforce. We love working with military families!